Kenwood recently completed damp treatment to a converted ‘bath house’ in the East of London. This latest project involved Kenwood installing a new damp proof course including our specialist tanking system. 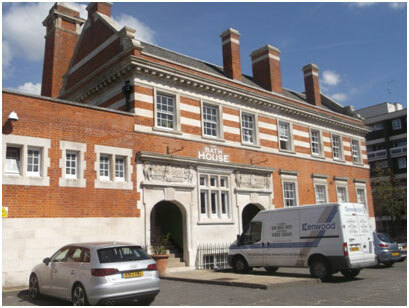 This particular building was erected in 1899 although Bath Houses in London date back to the late 1840’s in a time when people did not have running water in their homes. A great feature of this building is that even though the building has been converted to flat, they have retained the original double entrance, one for men, and one for women, including the ornate stone work above the doors. The completion of the damp treatment ensures the occupying family can continue to enjoy this beautiful historic home.